Is the state setting itself up for another international embarrassment? 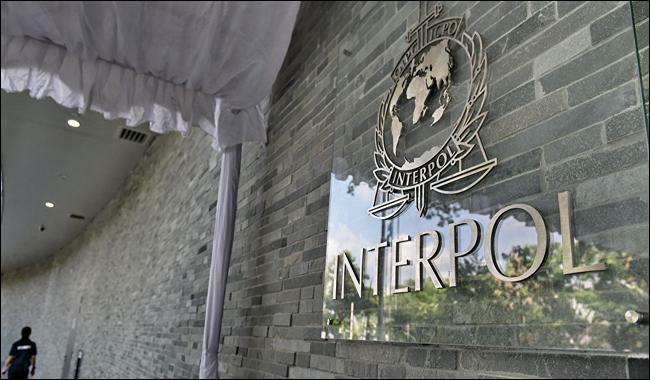 Last week, government suffered another embarrassment when Interpol refused its request to issue a red warrant against MQM founder Altaf Hussain saying it does not involve itself in politics. By giving this explanation, the global law enforcement agency has essentially said that the charges against Altaf Hussain are purely political and are not backed by actual evidences. 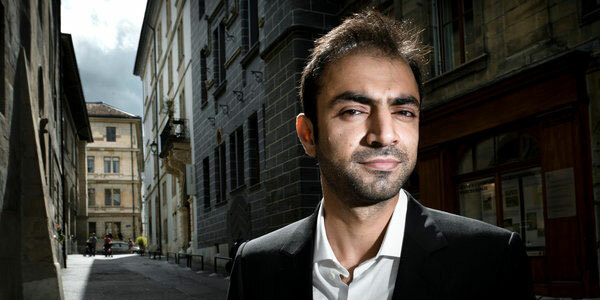 However, government officials appear to have learned nothing from this as they have already approached Interpol for another red warrant, this time against Baloch nationalist leader Brahumdagh Bugti and his aide Sher Mohammad Bugti, who have been granted asylum in Switzerland due to life threats. The question must be asked why officials are so determined to get their hands on these political leaders who they have already driven out of the country rather than trying to find a political solution to political problems? As Interpol has confirmed, these are cases of politics, not law enforcement and national security. It should be noted that the global police agency has been willing to issue red warrants against actual militants like Maulana Masood Azhar when there is adequate evidence presented. One cannot help but think of another case when state officials tried to convince international agencies to accept their narrative, only to fall flat on the global stage: The infamous ‘dossiers‘ on Indian involvement in terrorism. Instead of trying to convince the rest of the world to accept our national security narrative, state officials should be working to find political solutions to political disagreements, and save law enforcement resources for cracking down on actual militants. 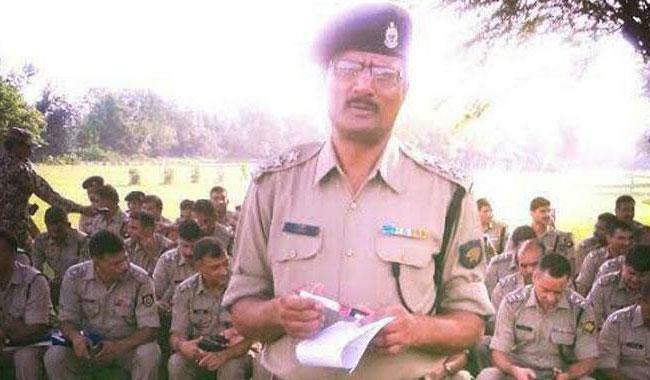 Mohammad Tanzil, inspector of India’s National Investigation Agency (NIA) involved in investigation of the Pathankot terrorist attack, was gunned down in UP while returning home from a wedding. According to Ansar Abbasi, this adds to doubts about veracity of Pathankot attack because Tanzil was Muslim. Pakistani security agency sources believed that India appears to have started to eliminate those “doubtful” Indians who actually came to know during the course of investigations of the drama of the ‘False Flag Operation’ at Pathankot. Questions are being raised as to why the wife of the NIA officer has also been hit. Was it the result of possible fears that the officer might have divulged anything to his wife? Can the state be so callous that it starts killing its own citizen and a serving officer whose only crime was that he was a Muslim who had come to know the dark secrets of Indian statecraft? There is so much wrong with this report. Are questions really being raised as to why the officers wife was hit? Isn’t the obvious answer that when gunmen carry out their hit they are not using laser guided bullets, and when they are spraying their target they will kill anything and everything in their path? Mohammad Tanzil was hit 21 times. That does not sound like a precise assassination, it sounds like a hail of gunfire. This may be the stupidest question of Ansar Abbasi’s, but it is not the only one. Ansar Abbasi’s entire conspiracy theory is based on the idea that the investigator was killed because he was Muslim. This says more about Ansar Abbasi than anything else, however if it is true that he is reporting what he is told by our own security agencies, then it also explains a lot about our own national insecurity. The assumption being made is that because Mohammad Tanzil was a Muslim, he would have discovered that the attack was a ‘false flag’ operation and therefore had to be eliminated before he spilled the beans. 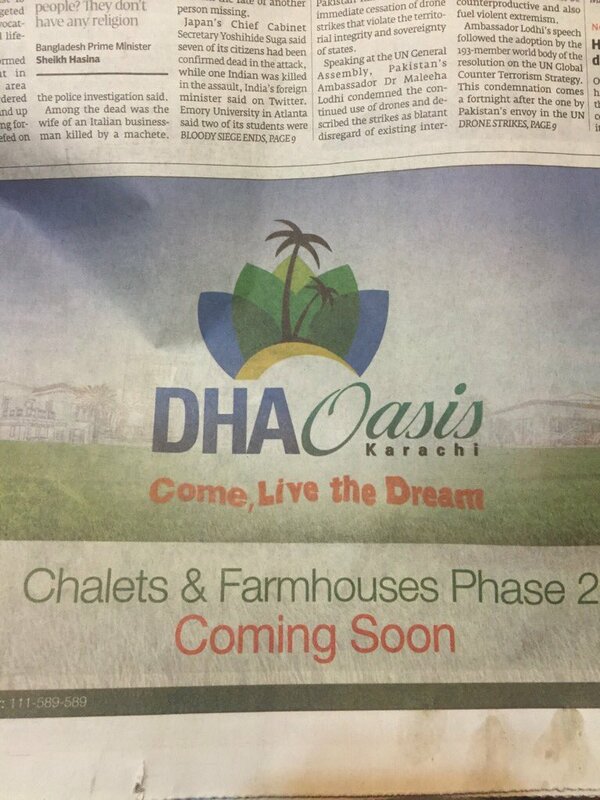 There are some obvious problems with this. If Mohammad Tanzil could discover that the attack was fake, so can others. Will India kill all of its investigators to keep them quiet? If the other investigators are willing to go along with the conspiracy because they are Indian, why wouldn’t Mohammad Tanzil? Are we supposed to think that because he was Muslim he was sympathetic to Pakistan? If so, why didn’t he remain Indian till his death? Could it be that he was a proud Muslim and a proud Indian, just like there are proud Hindus who are also proud Pakistanis? As with most conspiracy theories, there is a much more obvious answer to who killed Mohammad Tanzil and why. Isn’t it also possible that he was killed by the jihadis who orchestrated the attack as revenge against a Muslim who was siding with India over Pakistan? Jihadi groups inclulding Jaish-e-Mohammad who is suspected in Pathankot attack spoke openly about their plans to increase attacks against Indian targets. Do we believe they are lying? Or are certain quarters trying to ‘muddy the waters’ by spreading conspiracy theories in order to protect strategic assets? These are questions we are not likely to get answered by the likes of Ansar Abbasi. I don’t usually agree with Ansar Abbasi, but when someone is right…they’re right. The Jang columnist recently wrote about the problems caused by intelligence agencies operating with complete lack of oversight. Little could he know how his thesis would be proven correct over the next few days as story after story added damning evidence against agencies. 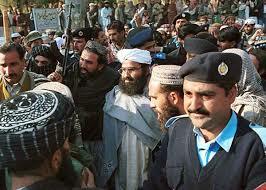 After years of denials, ISI is finding itself facing new charges of support the 26/11 terrorist attack. Former CIA director Michael Hayden has now publicly revealed ISI’s involvement in his new book. The ex-US intelligence chief says that he was personally told of ISI’s involvement by none other than the DG-ISI Shuja Pasha. “We had no doubt that the attack was the work of LeT, and there was mounting evidence that preparation for and direction of the attack took place from within Pakistan, where LeT enjoyed the protection and support of ISI,” Mr. Hayden said. Pasha, who had come to ISI only a few weeks earlier and had no previous intelligence experience, came to the U.S. on Christmas Day and spent most of the next afternoon in his office. “He worked carefully from notes. His investigation had revealed that some former ISI members were involved with Lashkar-e-Taiba [no surprise there]. Pasha admitted that these unspecified [and still uncaptured] retirees may have engaged in some broad training of the attackers, but he was characteristically vague about any detailed direction the attackers had gotten during the attack via cell phone from Pakistan,” Mr. Hayden wrote in the book. This admission comes the same day that PM’s Foreign Affairs Adviser Sartaj Aziz admitted that one of the mobile numbers linked to Pathankot attackers was traced to Jaish-e-Mohammad headquarters in Bahawalpur. Once again, this admission comes after security officials strongly denied any links between the ISI-supported militants group and the terrorist attack. These revelations follow a third shocking admission. Yesterday, former DG-FIA Tariq Khosa wrote a damning piece that exposed the entire ‘memo-gate’ saga as a drama written by GHQ and directed by ISI to neuter the civilian government. With these three revelations facing us now, we should think about Tariq Khosa’s words of warning. No heads rolled after the OBL raid; no one had the courage to ask the military elite some tough questions. 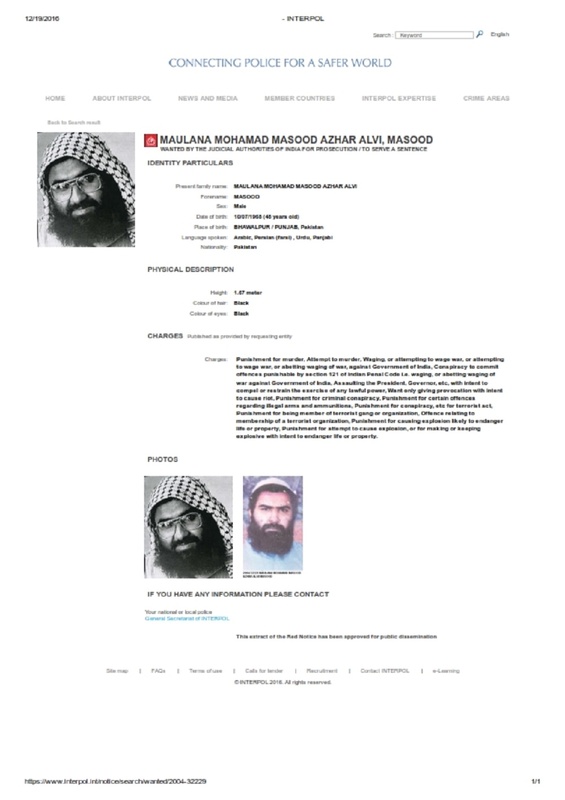 Questions were raised about the status of Jaish-e-Mohammad chief Masood Azhar after he was picked up by security forces following Pathankot attack at the beginning of the year. Official reports claimed that authorities were cracking down on the militant group without favour as per its international obligations. However this was quickly cast into doubt when Punjab Law Minister Rana Sanaullah clarified that Azhar was not arrested but being held in ‘protective custody’, a term usually used when the state is protecting someone who faces threats. 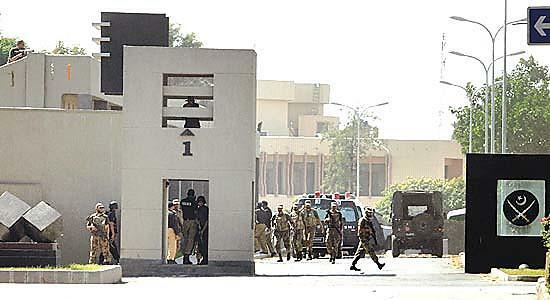 Questions about the authenticity of the state’s efforts against ‘good’ militants have returned following reports that Pakistan has refused a request by Indian authorities to join their Pakistani counterparts in questioning the militant leader. India wanted to send investigators to interrogate Masood Azhar and his brother but Pakistan “politely refused” it, a senior official said. Pakistan assured India that Islamabad was seriously investigating the case and will not hesitate to act if anyone was found guilty, the official said. “India wants us to hand over Masood Azhar and Hafiz Saeed and as we have declined a number of times, they want us to at least give access to the investigators to interrogate them. We have told them it was not possible,” he added. The refusal to allow Indian investigators to question Masood Azhar confirms for many the belief that his custody is more ‘protective’ that officials are admitting. This belief is also supported by the decision of the Pakistani official to mention Hafiz Saeed who is not even under investigation for Pathankot attack. India has not asked for Masood Azhar to be handed over. Only they asked for their investigators to join Pakistani investigators in questioning the suspected mastermind. Pakistan’s refusal to cooperate with this request raises questions about whether the state is honestly interested in finding proof against certain elements, or whether they are actually interested in ‘protecting’ them.